What is the first smell that comes to mind when a person thinks of their childhood? Oven-baked sweets on a rainy evening? The first love gift, a yellow flower picked from the school garden? Or is it simply that unique smell that no child can describe despite knowing it before being born, the smell of a mother? Perhaps Rahma Ibrahim Al-Haj had such memories before the age of seven, but afterwards there was a single smell that replaced it all and remained with her for the rest of her life. It is the smell of the flesh of the burned sons and daughters from her razed village, in the middle of a harvested field on a July evening in 1948. The creation of this trauma and its replacement of ordinary memories may appear to belong to some sick imagination, but it is one of the most important facets of the Nakba (catastrophe). The Nakba was not a momentary event, but rather the outcome of a political project which aims to displace a people from its homeland. But politics alone was not enough to achieve this, and it was essential that Palestinian memory also be stained with blood. The massacres resulted in displacement, killing, abuse, and the theft of the lands of thousands of Palestinians. They played a fundamental role in the systematic strategy of intimidation that the Zionist movement employed as a means of seizing Palestinian lands. While Zionists only owned 7% of the land of Palestine in 1947, the number rose to 78% after the acts of eviction and displacement. The massacres dispossessed 805,067 Palestinians and demolished 531 villages and towns. Moreover, they killed 16,721 Palestinian and Arab fighters, and those are only the ones whose numbers, dates, and location of martyrdom, are known.1 The number of massacres has not been definitively determined so far, but those documented in Palestinian sources and Zionist archives range between 35 and 110 massacres.2 And of course, the events preserved in popular memory cannot be reduced to mere numbers. 1. Al-Aref, Aref. Al Nakba wa al-Firdaws al-Mafqud, al-Juz’ al-Sades [The Catastrophe and the Lost Paradise, Part 6]. Dar al-Huda, 1958, p. 9. 2. Abu Sitta, Salman. Haq al-‘Awda [The Right of Return]. Gaza: al-Marqaz al-Qawmi lil-Dirasat wa al-Tawthiq, 1999. Rahma, who was not older than seven, didn’t know anything of the world except her village of al-Tira, which at the time had a population that did not exceed 6000 people. Despite being a village where things rarely happen, what Rahma witnessed on July 19 in 1948 made up the scenes of the most important event of her life, and of many others like her. In the months preceding that day, Rahma would hear her elders speak of the number of Zionist forces—50,000, a number she had only then just heard for the first time. This was a force of armed fighters backed by air and naval forces, as well as tanks and artillery. They were met with 7000 Palestinian fighters in semi-organized groups, as well as 3000 Arab volunteers, and dozens of others from Germany, Turkey, Pakistan, Yugoslavia, Africa, and even a small number of English volunteers. The women would speak about the massacres taking place in neighboring villages as though they were speaking about outer space. Women raped, children slaughtered, pregnant women miscarrying, men lined up and killed with bullets—all of this was just talk, until al-Tira’s turn came. Suddenly, all the rumors were verified. When she saw groups from the Haganah distributing flyers that threatened the villagers and warned them of cooperating with the Arab Liberation Army, Rahma ran. Before she and her family and their neighbors could recover from the scare of the leaflets, the Zionist special forces, under the guise of Arabs, raided the village in search of volunteers. These operations were labelled “violent surveillance,” which aimed to enter unarmed and unfortified villages at night and remain for a few hours, killing whomever leaves their home. After a few days, a struggle began which would evolve into two months of protracted confrontations and steadfastness. The men of the village took out the weapons hidden in the ceilings and wells, and gave battle to regain the village’s fortunes. On July 16, the Jews entered the village. Until that moment, 13 men were martyred. Some of the fighters withdrew outside the village, while 30 men were taken to an unknown location, which was later discovered to be the prison of Acre. Soldiers had gathered those that remained from the village, choosing 300 men and women, and placing them in 20 buses that took them to al-Lajjun. In each bus, a group of Jewish guards armed with machine guns accompanied them. Upon arriving at the border along which Iraqi forces were stationed, the Jewish guards kicked them out, making them flee towards the Arab areas while firing bullets at their heels. Saa’, Saa’, let’s go, let’s go. Everyone climbed onto buses under Jewish guard, made up of 10-15 individuals. They reached an area East of al-Lajjun at around eight PM. The buses stopped on the road to Afula near some new houses that were recently demolished. The villagers of al-Tira were commanded to get down as they carried their bindles in their hands. They sat in a circle around 200 meters from the main road in a recently harvested wheat field. They were informed that they were near Arab lines. The guards handed over the residents to other guards from a nearby colony, and it was later found out that they were Jewish settlers that had taken over the police station, and wore hats that resembled police hats. After a long day of travelling in Ramadan, the villagers grew thirsty and requested a drink of water. After a long wait, the settlers returned with gallons of something that resembled water and poured it over the heads of the residents as they sat over their bindles on dry grass. Rahma detected the smell of gasoline and ran. The guards lit the villagers on fire and left them to burn, shooting whoever tried to run. 2. Abu Sitta. Right of Return. Rahma was not the only one to have left her village, nor was she the only one to remember it as though it were yesterday. Fawzi, who now lives in Tulkarem, also remembers what happened in his hometown of al-Tantura very well. In 1945, Fawzi Mahmoud Tanji, who at the time was only a child, was one of more than 1490 people living in Tantura. The village enjoyed a rich life, as it overlooked the Mediterranean Sea, and was an important port living mostly on agriculture and fishing. It was widely believed that weapons reached revolutionaries through the village. Moreover, historians believe that its fall a month after the declaration of the creation of the nascent Jewish state was a main reason behind the fall of neighboring villages. 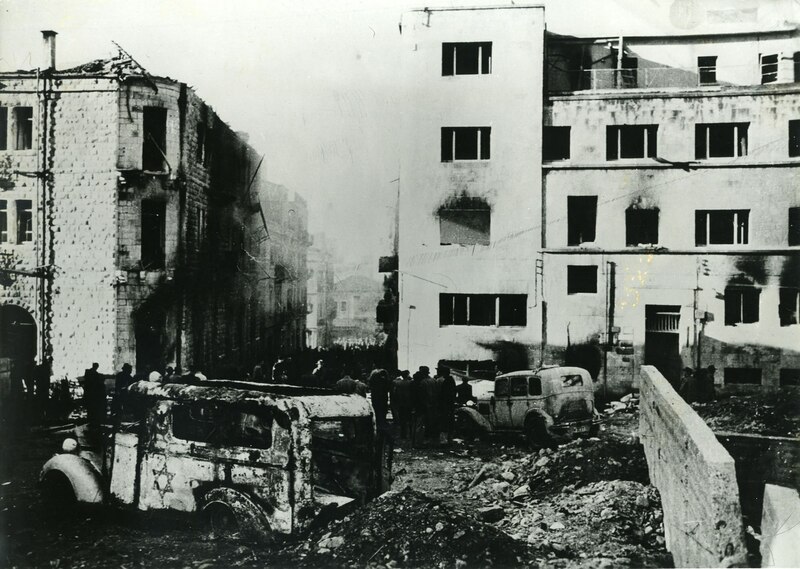 These events took place on the days of April 22 and 23, when the Haganah’s 33 unit attacked the village. From the first moment, it was apparent that ethnic cleansing was taking place.1 Zionist gangs attacked the village from all sides, without leaving a place for residents to escape, as had happened in other villages.2 The residents were chased and gathered on the shore then in the village’s cemetery, where executions were carried in front of everyone. The testimonies and research vary in the estimate of the number of martyrs in the Tantura massacre, which was performed by an organized military, as opposed to other massacres. However, the scene imprinted in memory is of the soldiers forcing the men of the village to dig a large ditch, where their bodies were later buried. Based on the conflicting testimonies, it can be estimated that the number of martyrs ranges between 90 and 250. “They gathered us near the sea shore, men on one side and women on another,” says Fawzi. “The boys and youth whose age was over 12 were placed with the men, while the younger ones were with the women. After that, they would pick seven to ten men, bring them to a place near the village mosque, and there they would shoot them. Then they would return and lead another group. This is how the number of people killed reached close to 90 by the end. 1. Khalidi, Walid. Kay la Nansa [All That Remains: The Palestinian Villages Occupied and Depopulated by Israel in 1948], 2nd ed. Beirut: Institute for Palestine Studies, 1998, pp. 106-108. 2. Pappe, Ilan. Al-Tathir al-‘Irqi fi Filastin [The Ethnic Cleansing of Palestine]. Beirut: The Institute for Palestine Studies, 2007, p. 145. On the dawn of April 9 1948, a month before the events of Tantura and two weeks after the signing of a peace truce requested by the heads of neighboring Jewish settlements and signed on by Deir Yasin residents, Irgun forces entered the village from the East and South. At the same time, LEHI-Stern Gang forces entered from the North, completely surrounding Deir Yassin save for the Western route. The objective of the forces was to surprise the villagers as they slept. However, the attack was confronted with a level of resistance to which the Zionist forces were unaccustomed. It resulted in four casualties from their side, while 40 were injured. To confront the steadfastness initiated by Deir Yasin, the attackers had to use the Palmach forces present in one of the military camps near Jerusalem, who then began to bomb the village with mortars to advance the mission. At noon, the village had been completely emptied of any resistance. Thus, as Mercier explains in his testimony, the Irgun and Stern forces decided to use dynamite. This is how they got control of the village after destroying house after house. 1. Khalidi, Walid. All That Remains, pp. 619-620. The massacres did not only take place against human beings, but also against its homes, trees, and animals, who were not beyond murder and abuse. 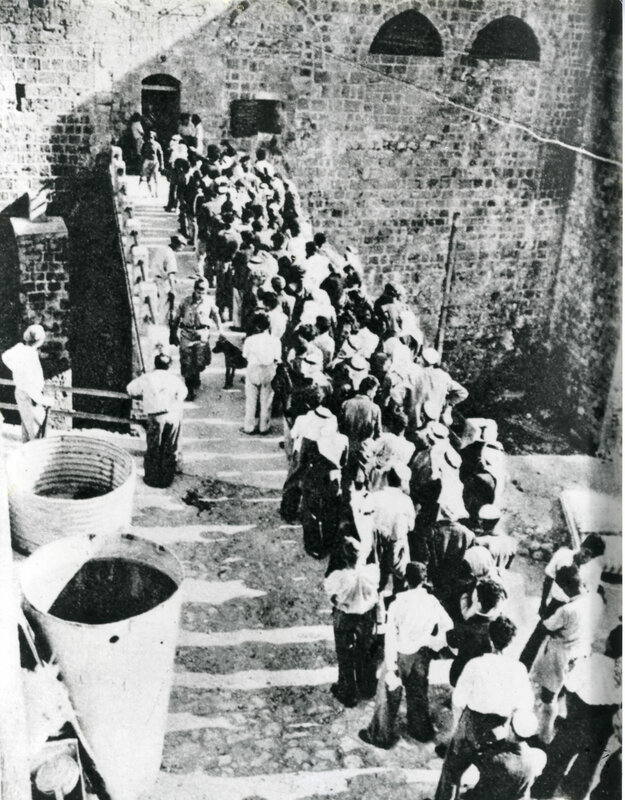 After the fall of Haifa on April 22, 1948, thousands of refugees flooded from Haifa to Acre. The city, still under British control, began to crowd. Zionist forces surrounded the city in the first week of May and fired at it with a barrage of mortar bombs. At the time, drinking water used to reach the city from a canal that would run from the northern village near al-Kabri, 10 kilometers from Acre. The canal is also known as the al-Basha canal. En route to Acre, the canal would pass through several Zionist colonies. At one of those points, the Zionists infected the water with typhoid, and soon enough typhoid fever spread among British soldiers and residents. In a report, Red Cross doctor, Dr. Domiron, says: “The situation is serious, and the outbreak of the disease has included civilians, military personnel and police.” Moreover, the Brigadier, Bafardaj, who was the director of military services, said that “this is the first time that this pandemic happens in Palestine,” despite the displacement and panic of residents across Palestine at the time. The greater fear was the spread of the plague with the refugees heading to Lebanon. When a number of the city’s dignitaries signed a peace treaty, Acre fell. With its fall, Zionist terrorism began to take over the city. Every young man and sheikh was arrested, all considered prisoners of war despite being civilians. Looting operations spread across the city and the women and children were cast out, with neither food nor shelter. 1. Pappe. Ethnic Cleansing of Palestine. 1. Abu Sitta. A Study of Usurped Lands. 2. Pappe. Ethnic Cleansing of Palestine, pp. 195 - 198. This is how the land was emptied of its inhabitants and how the story of exile, diaspora, and the Nakba began. Palestinians kept their country, their homes, their villages, and their memories in their hearts forever.